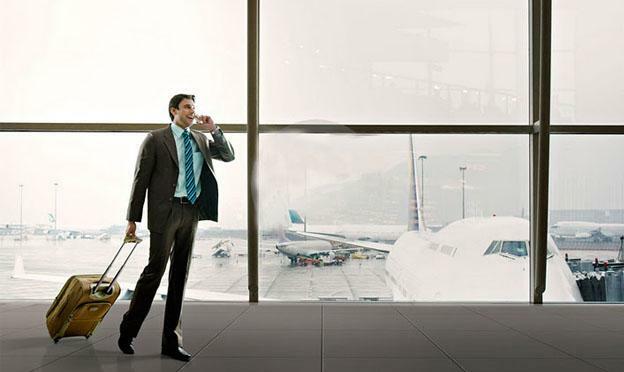 Travel is often required for business professionals attending conferences. Useful travel tips keep everyone safe and help avoid disastrous situations. By following the suggested tips below, the focus is on the conference and less on the details of the trip. Successful trips begin with careful planning whether they are for business or pleasure. Meeting Professionals International’s official One + Magazine blog, Plus Point, recommends several practical travel tips. Research the culture, customs and religious beliefs of the area. Travelers should not assume guaranteed safety because they are traveling within the United States. A wrong turn into unfamiliar territory may have dire consequences and is particularly dangerous when traveling to foreign countries. Consult with a travel professional about conforming to that country’s dress or accepted conduct when completing the details of a booked conference trip. 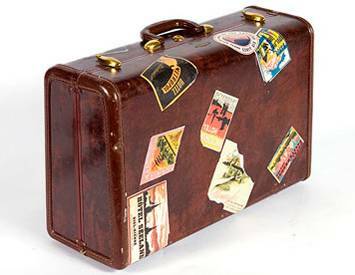 Avoid over packing and keep suitcase contents to a minimum. Fewer pieces of luggage save time and a possible airline baggage-handling fee. Make sure all luggage tags have business addresses, not home addresses and are covered. Travelers look like easy targets for thieves when they have a lot of luggage. Stash money in more than one place and carry one credit card. The Department of Transportation U.S. Safe Travel offers several travels tips through its Travel Sense site. Check with the airport, in advance, for the recommended arrival time and get there earlier. Bring proper identification such as a driver’s license, passport or other acceptable government-issued identification. The name on the airline reservation and identification must match exactly. Bring the appropriate documentation for a recent name change. Because of strict airport security, unattended luggage runs the risk of TSA confiscation or theft. Passengers need to know the required measurements, rules of carry-on luggage and weight restrictions for luggage. If there are any baggage fees, find out beforehand because they vary according to the airline carrier. When arriving at the security checkpoint or screening station, follow all procedures to avoid unnecessary delays while waiting for a security screener and/or waiting for electronic screening. Avoid unnecessary frustration at the security checkpoint by knowing the current travel restriction guidelines and reviewing TSA, Transportation Security Administration’s procedures for security checkpoints and screening stations. Some of the recommended travel tips are wearing clothes that are loose fitting and easy to remove; checking online for flight status, arrival time recommendations and; knowing baggage procedures. Avoid damage to cell phones, digital cameras, computers and discs, medical devices and other electronics by separating them from the electronic screening area and alerting TSA personnel. Make a reservation at one of the recommended hotels listed in the conference material. Usually, these hotels are near the conference and there is reliable transportation to the conference location. When making the hotel reservation, ask if the confirmation number contains personal and credit card information. At check in, this number saves time and information is already in the hotel’s reservation system. Speak directly to the desk clerk so no one hears sensitive information given. Become familiar with the areas surrounding the hotel by studying an area map at home and refer to it during the trip. Use a cell phone to download area maps of destinations. Ask the concierge at the hotel for recommendations for where to go. Having a familiarity with the area avoids looking like a lost tourist. One of the simplest travel tips is picking up several hotel business cards or matchbooks. Keep several cards or matchbooks in a pocket, purse or wallet for easy reference. The legibly printed information avoids confusion and has the correct spelling and address of the hotel. This is especially helpful when others do not speak English. For instance, if asking for directions, the card has all the hotel information. Having the correct address comes in handy when programming a GPS system. The TSA issues travel alerts for their guidelines and restrictions about airport security. 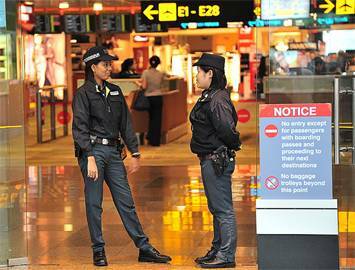 They are in charge of all security for airports and their passengers. If traveling abroad, check the current travel warnings on the government’s travel site that is a service of the Bureau of Consular Affairs. Sol Hudson the author of the “10 common mistakes to avoid when travelling to a conference” is an avid blogger and frequent contributor to a number of publications, including Smart Meetings which offers news and information on topics such as San Diego meetings. Liked your suggestions! But, I think airport authority should also take care of the hassles of bag & baggages by providing providing eco-friendly bags. There can be a one or lifetime card options for all the passengers :-). What do you think? Airport security is a big issue and it is very common mistake When Travelling to a Conference.